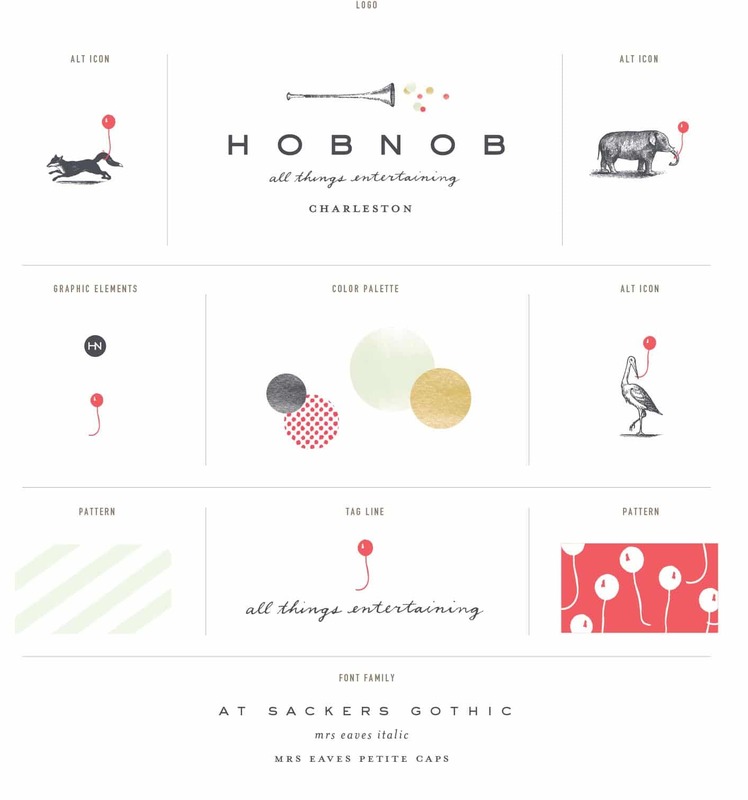 Hob Nob « Stitch Design Co.
Hob Nob is all things entertaining. We designed this branding and logo family for a new company in Charleston who curates unique events. From children’s birthday parties to small adult gatherings, Hob Nob brings a unique sense of style and attention to detail. We designed this logo with a series of interchangeable icons – different animals who all hold a common balloon. The bright pop of color and whimsey of the balloon perfectly captures the client and the sensibilities of the company. We are working now to implement the brand and can’t wait to share some of the bespoke ways we are helping her to spreading the word about Hob Nob. 2 Comments > Tags: Branding and Logo Design, Hob Nob, Stitch Design Co.